NO RETURN Former Dewsbury and Mirfileld MP Shahid Malik. A former Dewsbury and Mirfield MP has denied rumours that he plans to stand again in the next general election. 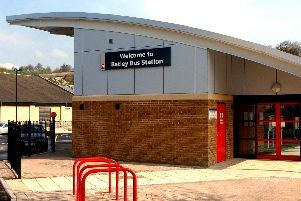 Shahid Malik said suggestions that he planned to seek selection as the Labour Party’s candidate for the Batley and Spen constituency were “100 per cent fabricated trash”. Speculation about whether Mr Malik had plans to resurrect his political career was sparked by a newspaper article last week. Mr Malik had as MP for Dewsbury and Mirfield for five years after being elected in 2005. He lost his seat to Conservative candidate Simon Reevell in May 2010. Any bid to win back that seat was ruled out after the Labour Party decided its next candidate for the constituency would be chosen from an all-women shortlist. Last week’s article suggested Batley and Spen MP Mike Wood would announce his retirement at the next Labour annual meeting and that Mr Malik was positioning himself to run for the seat. But a spokesman for Mr Wood’s office said: “Mike has no plans to announce his retirement. Mr Malik also dismissed the claims of a comeback. He said he had no plans to stand as a parliamentary candidate anywhere else in the country.